TundraTalk.net - Toyota Tundra Discussion Forum > Tundra Discussion > Tundra General Discussion > Tundra at Chicago Auto Show? Tundra at 2018 Chicago Auto Show? Chicago Auto Show runs Feb 10-19 and there are rumours we are going to be seeing something new from Toyota. The guys over at TFL Truck hint that they've been told 'off the record' about something new from Toyota debuting at Chicago. Right around the 25 minute mark of the video discussing the new trucks from the big three he mentions that Toyota isn't going to 'stay out of this party'. Changes to the Tacoma? Updates to the powertrain? New Tundra? Last edited by xxJDxx; 01-24-2018 at 04:36 PM. 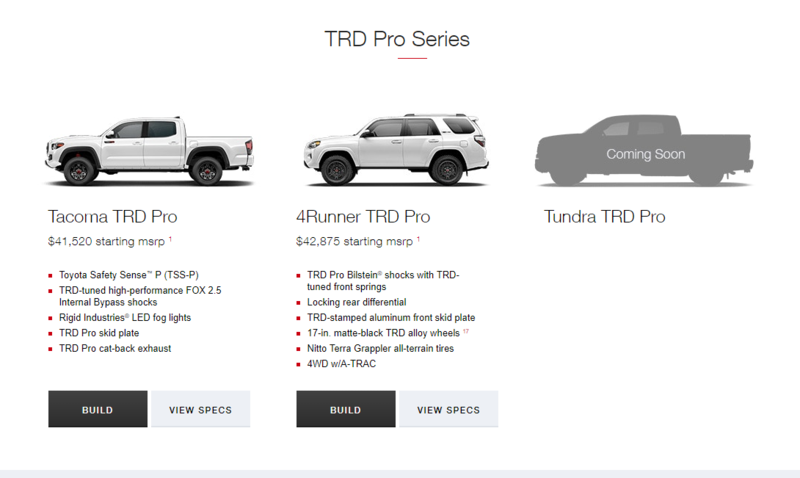 I’ve heard rumors that it might be refreshed tundra TRD pro. Maybe with an 8 speed transmission (like that of Lexus LX570), probably fox suspension (like TRD pro Tacoma), and with the TRD heritage grille with the safety sense. Probably last model before the following year comes the entire newly designed tundra. 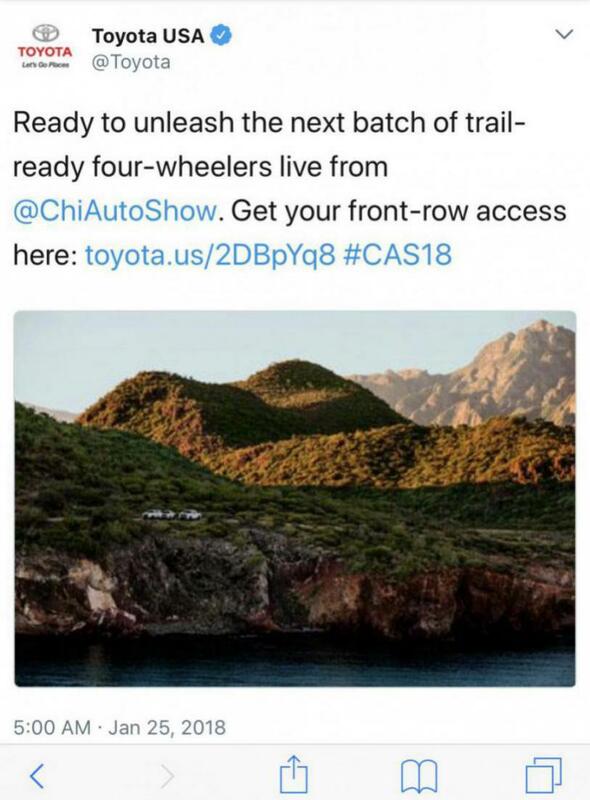 I think Chicago Auto Show is a much smaller event than Detroit, so if Toyota were to debut a new Tundra, they would probably do it in a Standalone event so it gets more attention. And really? A private thumbs down for what lol? This is probably old news, but I saw this on Toyota's website as well. Hopefully they unveil something substantial. Not like their dog and pony show last year where they unveiled new headlights and an instrument cluster. ? In addition to the Fox shocks with 46 mm pistons, the Tundra’s suspension gets an extra 2 inches of lift, and wheel travel is increased by more than 1.5 inches in front and more than 2 inches in the rear. The full-size pickup gets the new Rigid Industries LED foglights and LED headlights with more menacing black accents, a new grille and hood scoop, and an available moonroof. The truck has a dual exhaust with black chrome exhaust tips. In the back, “TRD Pro” is stamped in the rear quarter panels, and the truck gets new 18-inch BBS forged-aluminum, five-spoke satin black wheels with Michelin P275/65R18 all-terrain tires. Under the front end is a one-quarter-inch skidplate.